I think Meath bringing on Graham Reilly and Eoghan Lynch helped steady us in the second half as well. From what I could tell Campbell was tiring before he went off. I doubt McGeeney would change tactics after scoring 0-7 to 0-1 in the second half. If he changed anything it might have to beeen to try limit the influence of Reilly coming on. Also, Rian O’Neill, who continues to improve, started drifting out the field also which left us with no presence in our FF line when we were playing with a wind. He should have been told to stand on the edge of the square and stay in there.. He, in the absence of Andy Murnin, is our most effective target man in attack. 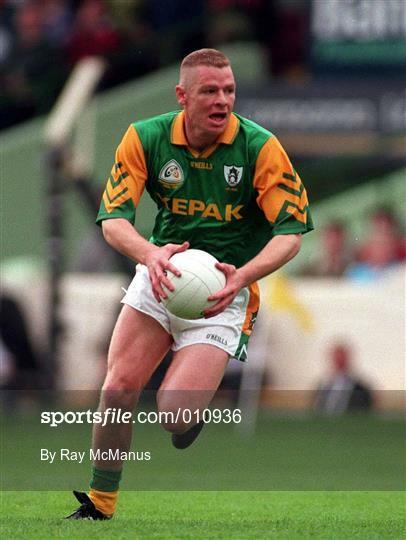 Occasionally Rory Grugan, our most gifted playmaker, was the man on the edge of the square?? We didn’t use our attackers effectively. Finally, James Morgan has turned into a liability in defence with his persistent fouling. Keep your pecker hard and your powder dry and the world will turn. I think Armagh’s card has been marked since Colm Parkinson has been singing your praises the last few weeks on his podcast. Woolly has the touch of death when it comes to predictions. One thing I’ll say while I was expecting a big push from us this year, I’m not taking Cork for granted no matter how bad they’ve been so far. Cork has been a tough place for us to go the last few years and we rarely get a result from them. There could be a sting in the tail and our form has been up and down the last few years so I won’t be counting any chickens for the next fortnight. Armagh with the strong wind, and no one in the forward line to kick the ball into for the last 15 min of second half ... unreal! We definitely miss Murnin inside, he is crucial to this teams success as a target man. Rian O’Neill is doing well but I’d better player running towards goal not with his back to it. When his decision making at this level improves he will go on to be a very good player. I agree on Morgan’s fouling we are giving up too many scoreable free kicks. Another season in Division 2 beckons...maybe back to 3 to continue our relegation, relegation, promotion, promotion, relegation....theme.. When is Murnin expected back? Keep ye're beady eyes off Anthony Cunningham!! To be fair that is the template that beat Armagh in Ulster last year. I don’t know about that. Soft penalty we got today not given and Jamie Clarke in the team you could have won that game today. No I genuinely think Geezer would still have found a way to lose it. Armagh got back into the game and were within a point when they changed tactics to sit back. It’s infuriating. Honestly don't think there was a change of tactics and it might even be a disservice to Meath to suggest so. Armagh had done well to get back to a point down. The Meath full back went down to break up play and Armagh's momentum- cleverly. Meath then got a well bought free to put 2 in it again. The legs seemed to go at that stage. Maybe the effort to claw back the deficit had taken its toll. Maybe fresh legs should have been introduced earlier. We will have to agree to disagree. Once Armagh got within a point a number of players started shouting at each other and pointing to other areas of the pitch. From their the FF line withdraw out the field leaving Armagh one on six inside the 45 at times. They also dropped off Meaths kick outs and generally seemed much more defensive all but abandoning the high press. Looked very much tactical to me and similar to what happened in the last 15 against Kildare. In hindsight you may have a point - up to a point. I don't think it was quite as simple as falling back but bringing McElroy on for Campbell was hardly an attacking move. You were accurate enough, but you should have won by more.